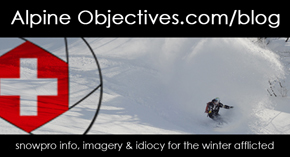 Summary: There`s no disputing the epic snow conditions on Japan`s Northern Island, but skiers & snowboarders looking to shred the steep-and-deep will generally have to settle solely for the deep. 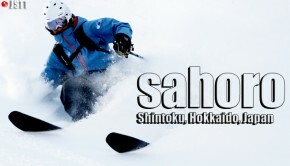 Sapporo`s hometown ski hill with Olympic heritage, Teine Highland, delivers both. 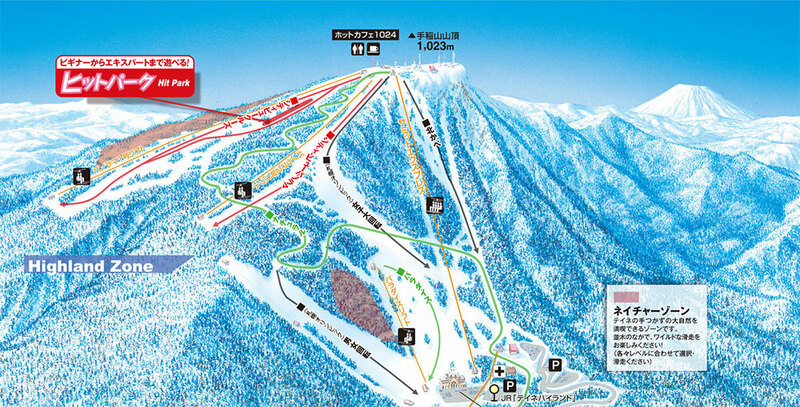 Most lift-accessed terrain at Hokkaido ski resorts is on the mellower-side even if labeled “advanced” on a trail map. Teine Highland isn`t exaggerating on its black-rated trails. Snow quality on comparative best days can`t rival resorts like Niseko, Rustusu or Kiroro, but you won`t have time to notice when confronted with the consequential cliffs, couloirs and Super-G pistes dropping from the summit. When Sapporo hosted the Winter Olympics in 1972, it was the first time an Olympiad was held outside of Europe or North America. Since then, the imposing world class ski slopes and equally imposing off-piste terrain of Teine Highland has flown under the radar of most foreign visitors seeking pillowy pow at other near-by Western Hokkaido ski resorts. With terrain for every snow slider on & off the trail — including skiable connection with Teine Olympia ski area for lower level sliders & night skiing — easy public transit access and views stretching-out across the cityscape and ocean, Highland delivers one of the most complete riding experiences on Hokkaido. The groomed ski trails at Teine Highland offer options for all levels of snow slider. Although Olympic caliber descents dominate your view from the ski area base, a short ride to the top of the ski area brings you onto a plateau providing enjoyable runs for the less adventurous. Intermediates and advanced sliders will appreciate Teine Highland`s trails far more than beginners, but lower level skiers or snowboarders can still have a great time. City Cruise is probably the best bet for novices and low intermediates, while Panorama is more geared to true intermediates. Upper level skiers and boarders will crack a smile on these aforementioned cruisers as well. If you are the least bit unsure of yourself, try to avoid the 38°, former Olympic Women`s Giant Slalom Course. However, if you`re a skilled piste basher, the black rated downhills at Teine highland are supersonic. 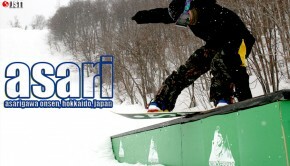 Teine Highland is one of Hokkaido`s rare ski hills delivering steep and deep descents. Vertical meters of steepness aren`t overwhelming, but the drop-ins are anything but underwhelming. The traverse-out from the iconic (and unsightly) communications towers to rider left accessing the gated drop zones should not be taken lightly. One slip-up here means bad news for you and good news for the Sapporo mortician. Unfortunately though, the incredible off-piste riding at Teine Highland is a bit of an illusion. Strictly enforced no-ride zones span just about everything that you want to ride except for the “summit gate access” area and wooded area to the right of the Panorama lift 1 named “the Sanctuary.” So for all its potential, there`s a lot of off-limits areas which is why most foreigners spend their time at other Western Hokkaido ski areas. None-the-less, if you get first tracks in the steep couloirs funneling from the summit or layout cruisy pow sprays in the the Sanctuary, you`ll be happy you visited Highland. Get those tracks first, otherwise, your blissful entry points will become icy, scary drop-ins really quickly after the other lunatics have their fun. For a ski hill bordering a civic populous of 2 million, the terrain at Teine Highland does a pretty good job of holding the crowds. There`s no way around it…trails can be pretty busy, especially with school groups. Off-piste gate access drop-zones can also feel claustrophobic when everyone is racing for the first steep-n-deep descents of the day. You won`t find much solace from crowds on weekends after 10am, but weekdays before lunch are generally stress-free considering such a large urban area nearby. As Highland is geared more toward intermediates and advanced riders, Teine Olympia handles the majority of beginner trail congestion allowing for hard-charging descents throughout much of the day. Something else to consider is that you`ll likely bump into more people at Niseko Hirafu on any given day than this hill above a city of millions. There are four (4) lifts at Teine Highland ski area. Lifts are efficient and allow you to access the entire ski area easily. The lift layout doesn`t clutter the ski area adding to the enjoyment of fun runs and panormas of city-&-sea below. The Summit Express is the main quad reaching the top of the ski area from the base in only 5 minutes. Exit right from the Summit Express to reach the serious gate-access drop-zones for advanced off-piste riders or head left for pisted descents ranging from cruisy to stomach-in-your-throat-steep. Long waits won`t be much of an issue at Teine Highland, however the Summit Express often requires a few minutes of your patience. Teine Highland offers the unique opportunity on Hokkaido for lift-assisted steep and deep descents, but realistically the snow conditions aren`t always ideal. Storms pummel Highland, however ocean-affected snow (i.e. heavier) and strong winds are not uncommon. You`ll need to pay close attention to the wind advisory to be sure your early morning assault doesn`t turn into a 2-hour wait at the base lift due to high wind closure. Is the snow “Japow perfect” at Teine Highland? No. Will the snow totals & quality satisfy your powder addiction? Yes. 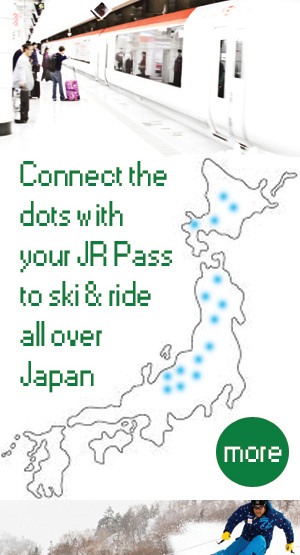 Public bus: Yes, JR Hokkaido Bus from JR Teine station (30 min) and JR Sapporo Station (60 min). There are also bus stops at multiple Sapporo hotels (Bus #4401). Be aware that returns to JR Teine Station or JR Sapporo Station are a bit sparse. Consult the ticket office at Teine Highland when purchasing your lift pass for an updated bus schedule. *Car recommended: No, the public bus is a very reliable option departing from & returning to Teine Station multiple times per day. The bus (#70) is free for JR Pass holders. If you wisely bought a JR Pass before departing for Japan, you can take the train from your hotel in Sapporo or Otaru to JR Teine Station then hop the #70 bus (South exit) to Teine Highland for free. The only problem is that you won`t make it for first tracks as the bus arrives at 9:10 (lifts open at 9AM, weather permitting). If you hop off the train, walk past the bus stop and grab a taxi (¥3000), you`ll normally get to the ski hill around 8:30AM. The Yen spent will be worth it when you aren`t crossing tracks on your uncrowded faceshot run from the gated summit access point. Sorry, these shrooms won`t make you see colorful cartoon dreams in your head, but the Udon soup with mushrooms (kinoko) at the restaurant upstairs is a great meal option that`ll warm you up and keep some Yen in your pocket for apres ski beers. Snowtrip Tip 4: Nowhere to stay at Teine…no worries. There are quite a few hotels in Sapporo that offer solid value for money. If budget isn`t an issue, the Cross Hotel with roof-top onsen is a great place to stay. It has proximity to JR Sapporo station (5 mins by foot) and clean, quiet rooms, but is also near the ski bus route for Sapporo Kokusai. 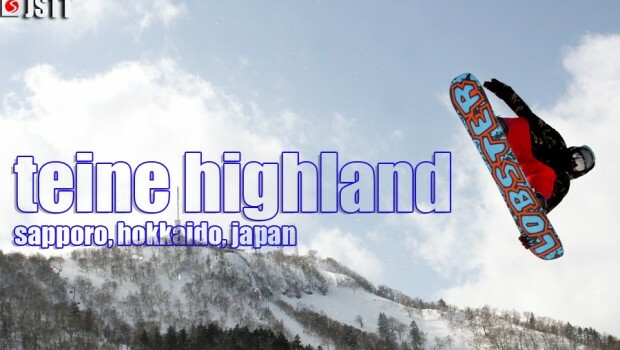 If Teine Highland can`t settle your pow craze don`t worry. 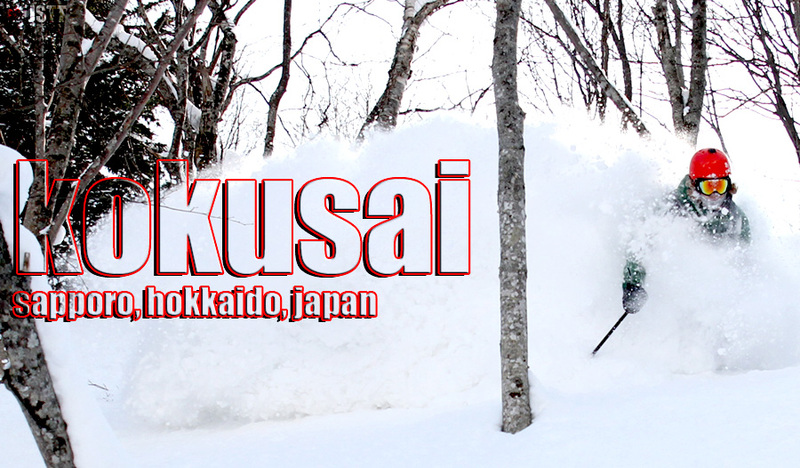 You can find hidden pow stashes at Sapporo Kokusai, float in Japan`s deepest snow at Kiroro, have the hill to yourself at Tenguyama or shred the park at Asari, all easily accessible from Otaru or Sapporo via public transit.